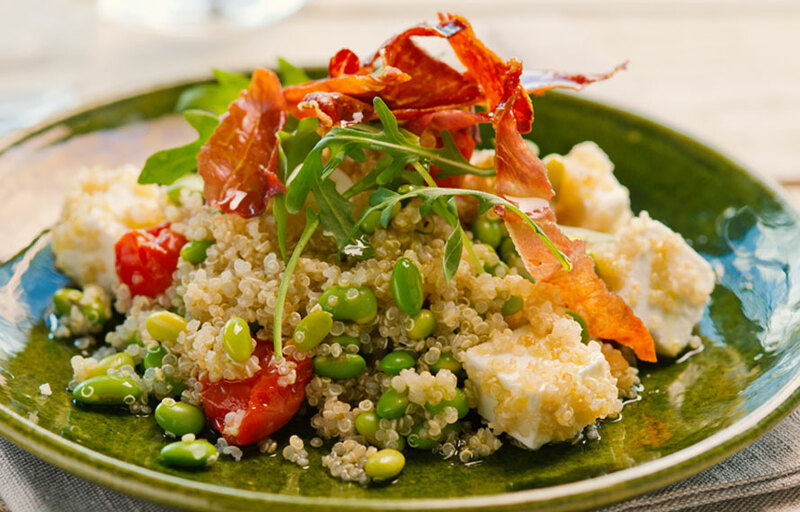 A protein-packed salad with quinoa and beans, topped with an Italian Prosciutto twist. Heat the oven to 200°C/180°C fan, Gas Mark 6. Place the beans in a pan of boiling water and cook for 3 mins. Drain under cold running water to cool off. Place bulgar wheat in a pan and add boiling water to reach 1cm/½in above the wheat. Cover with a lid and simmer over a medium heat for 12-15 mins, or until the bulgar wheat is tender and has absorbed the water. Fluff the wheat with a fork and add the remaining ingredients, mixing well until combined. Place the Prosciutto on a baking sheet and cook for 5-8 mins until crisp. Remove and rest on kitchen paper. Once cool, break into shards. Mix the dressing ingredients and season. Mix the beans, feta, & wheat; drizzle with the dressing. Top with the ham and rocket to serve. 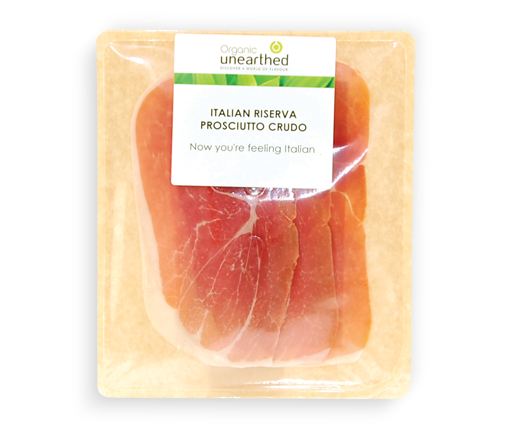 Tom's top tip: You can always use Prosciutto Del Poggio, Serrano or Speck in this receipe instead - they'll all crisp up in the same way.